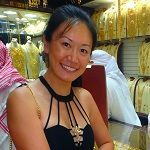 Our guests often tell us that their experience of traveling with us is like having a friend in every country. That’s in large part because of the partners we choose to work with. We believe in the power of co-creation. Over the years we have forged close relationships with many ethical and sustainable partners who deliver exceptionally enriching experiences across the world. Allow us to introduce you to them! A boutique group of luxurious hotels in South India, every property of CGH Earth feels like a uniquely local experience. Whether you’re staying in Brunton Boatyard, the colonial masterpiece by the old docks of Fort Kochi, or celebrating Kerala’s backwater life with authenticity at Coconut Lagoon, experiencing ecological harmony at Spice Village of Thekkady, or diving into the historic renovated mansion of Visalam in Chettinad village, the entire property reflects its surroundings. Every single property reflects the entire nature of the region that it operates in, while always embracing the local community, both for inspiration and for its workforce. Every little item is considered and reflected in the approach to harmony with nature, from the locally supplied handwoven uniforms or plastic-free toiletries, to the delicate renovation of delightful colonial properties. The real Ayurveda experience is also celebrated in its specialist clinics. You can expect genuine service with a truly warm welcome that creates a wonderful home away from home vibe. Pugdundee Safaris serves the less human-populated national parks of Central -West India. 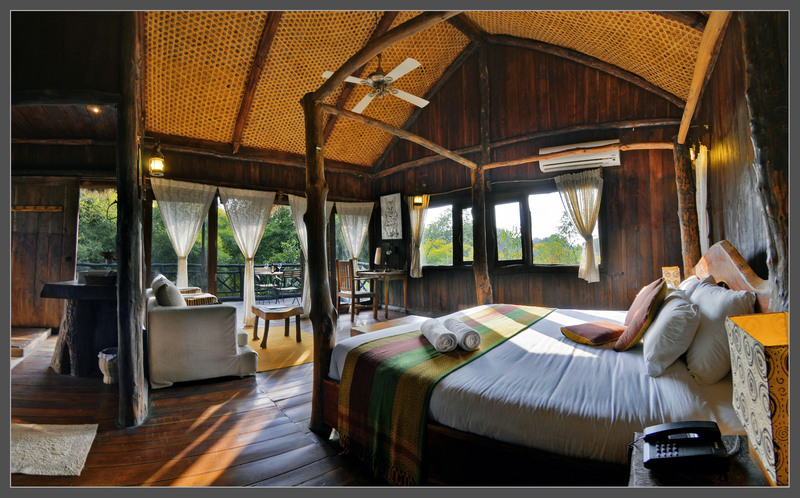 Every single one of its wildlife lodges – from King’s Lodge in Bandhavgarh to Treehouse Hideaway in Pench and Kanha Earth Lodge in Kanha, have been created with the social, environmental and economic impact in mind. 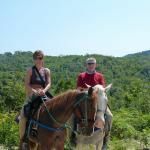 If you are wishing to explore diverse wildlife on a thoughtful tiger safari in India then Pugdundee Safaris are perfect for you. At least 70% of the company’s revenue goes back into the local economy by involving and providing fair opportunities for local communities in far flung places. From omitting single-use plastics to offering cuisine from the lodges own organic vegetable and herb gardens, there is a lot to discover. Expect nature walks, village visits and cycling as your way to discover delightful destinations in Kipling country! As a guest you are invited to redefine luxury – if you agree that luxury is green views, fresh oxygen, a calm environment and humble hospitality then you are always welcome! Asilia provides a range of unique accommodations in East Africa. The company has been certified by multiple industry-recognized, sustainability-focused accreditation schemes, including GIIRS, Tourism for Tomorrow, Fair Trade Tourism and B-Corporation and has won multiple sustainability awards. Asilia’s positive impact credentials are important criteria for why we first chose them, along with their favorable rates and the fact that they also deliver on high quality guest experiences at their lodges. Asilia assists with a range of local issues that ensure the wildlife are protected. The company is always looking at pioneering investments into areas that are ecologically and economically vulnerable, turning them into viable conservation economies benefiting both the local communities as well as the environment. They collaborate with many national organizations to conduct workshops aimed at identifying the signs and symptoms of wildlife poisoning, so that local people can deliver prompt reports, treat animals, and sterilize the scene to prevent further poisoning. Children from local communities are hosted in camps to learn about wildlife, the environment, and the importance of conservation through play and activity in their annual flagship event, Twende Porini. For Asilia, every partnership is personal. 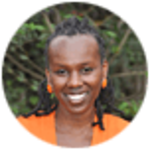 Asilia supports Maa Beadwork, which employs Maasai women from the Mara region in beadwork and honey projects. 100% of every sale from its shop at Naiboisho Camp goes back to the group. 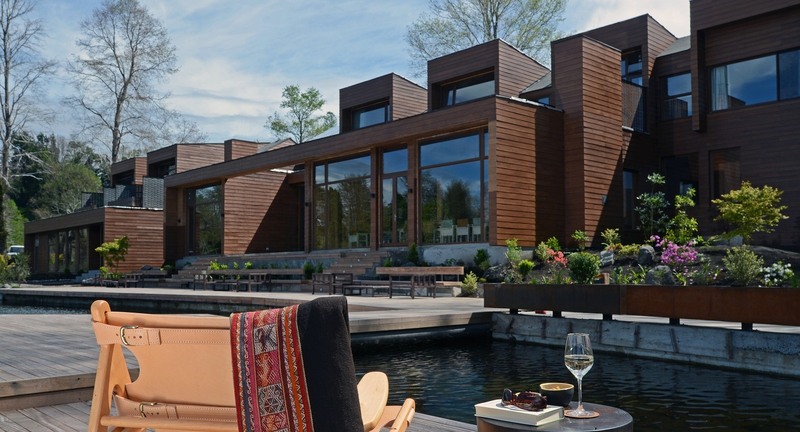 More is a small family-run business of luxury lodges and boutique hotels. 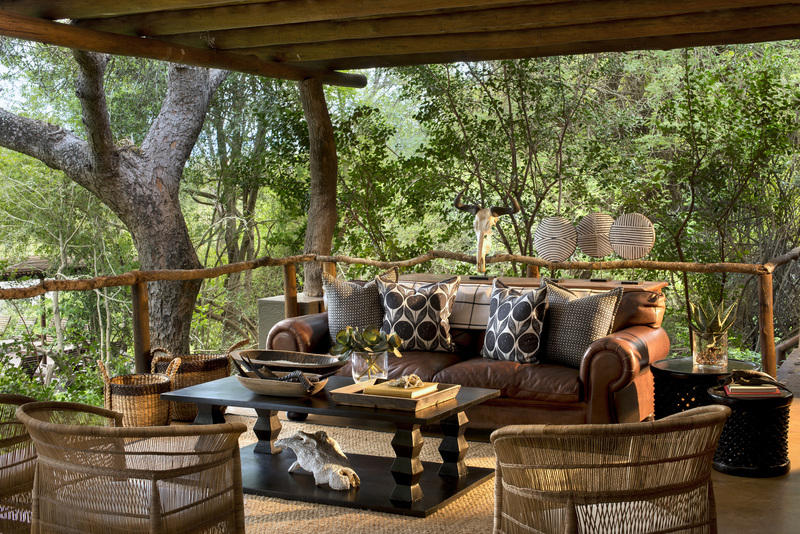 The lodges are primarily situated in South Africa’s premium game reserves, and include Lion Sands in Sabi Sands, Madikwe Safari Lodge in Madikwe Game Reserve, and Marataba South Africa in Marakele Game Reserve. Ursula’s Homestead and the Stanley & Livingstone Boutique Hotel are at the Victoria Falls on the Zimbabwe side. The collection is completed in Cape Town with the luxury Cape Cadogan Boutique Hotel and More Quarters Hotel. The purpose of More’s existence is to create opportunities and experiences that will enrich people’s lives, including the way they think and act. There is focus on learning and growing, and positively influencing and working in harmony with communities in which More operates. 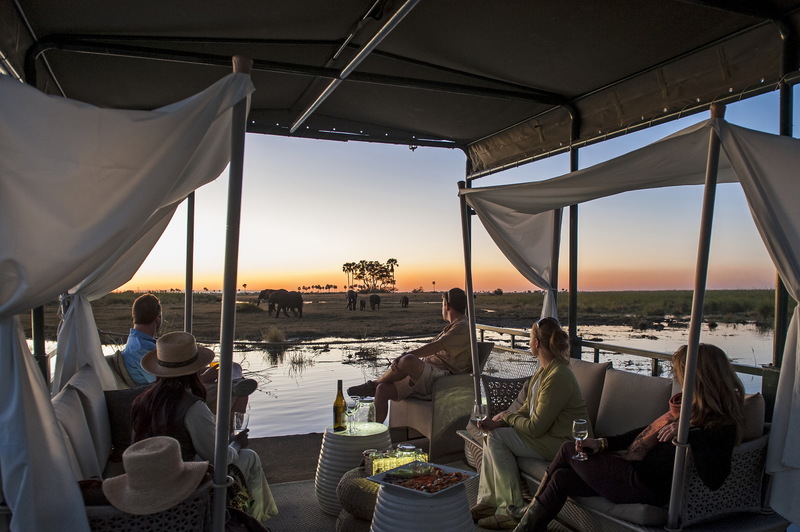 Selous Safari Company has camps across the wilderness of Tanzania, including Siwandu Camp in Selous Game Reserve, Jongomero Camp in Ruaha National Park, Ras Kutani on the Swahili Coast, and Fanjove Private Island, located in the Songo Songo Archipelago. Selous has been investing in the future of Tanzania for over three decades through its many wildlife protection, community education and local charitable projects. Through hiring its workforce locally, paying fair wages and providing medical benefits and training, the result is a truly personalized experience. Even though the camps are out in the middle of the savanna, it uses a state-of-the-art solar inverter system to provide guests with 24/7 power and hot water. All waste is returned to the nearest system for proper recycling management. Great Plains Conservation provides light footed luxury lodges and tented camps across important wildlife reserves in Kenya and Botswana. 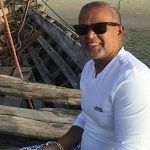 Each of the locations were hand-picked because they are under threat and need to be protected, with ecologically considerate tourism as a tangible solution. Large areas of land have been converted back from hunting and agricultural land to wildlife corridors through the income generated from safari experiences while encouraging guests to become global ambassadors for wildlife. Located at both the Masai Mara and Laikipa in Kenya, Kicheche is committed to culture, community, conservation and commerce, to ensure a positive impact on self-sustainability within the local communities. One quarter of Kicheche’s turnover is directly reinvested back into conservation of the conservancies its camps operate in. The camps provide training and employment to local people by offering internships and recruiting graduates, donating scholarships for children, and through supporting the year-long Koiyaki Guiding School, which trains local Maasai people as naturalists. Elawana Collection operates Lewa Safari Camp, Tortillis Camp, Elsa Kopje and Kilindi Zanzibar in East Africa, and takes its name from a Kiswahili word meaning harmony. It’s this reason why Elawana has national and international recognition, including Gold Eco-Tourism Kenya award and international STEP certification with Sustainable Travel International. Elawana exactly summarizes the relationship each camp has with the local environment, from the local farmer who supplies the ingredients for your lunches to the staff who have grown up and live in the area. Wilderness Safaris have over 40 premier, classic and adventure camps across Kenya, Botswana, Namibia, Rwanda, Seychelles, Zambia and Zimbabwe and employ over 100 local community members and has won many accolades including African Tourism Leadership Award for Championing Sustainability in 2018. Wilderness Safaris is committed to conserving and restoring Africa’s wilderness and wildlife, using responsible tourism as the vehicle to do this. The goal of the company is to change people’s perspectives about the planet and inspires those exposed to it to effect positive change in their own lives and spheres of influence – what’s not to love about that? Experience 29 luxury lodges and camps that showcase Africa’s iconic safari and island destinations, and its South American lodge, &Beyond Vira Vira, in Chile. &Beyond has a very similar approach to Enchanting Travels with its motto Care of the Land, Wildlife & People, which underpins its approach in the day-to-day decisions in the lodges and local activities, from preserving and reintroducing endangered species to encouraging enterprise development and a market for local businesses. &Beyond Vira Vira plays host to the most hearty, wholesome and delicious farm-to-table meals, plucked from the lodge’s own organic kitchen garden. Add freshly-baked bread and fresh cheese from its own quesería (in-house cheese dairy), washed down with Chilean fine wines and inspiring views, and you know this is more than just a vacation. 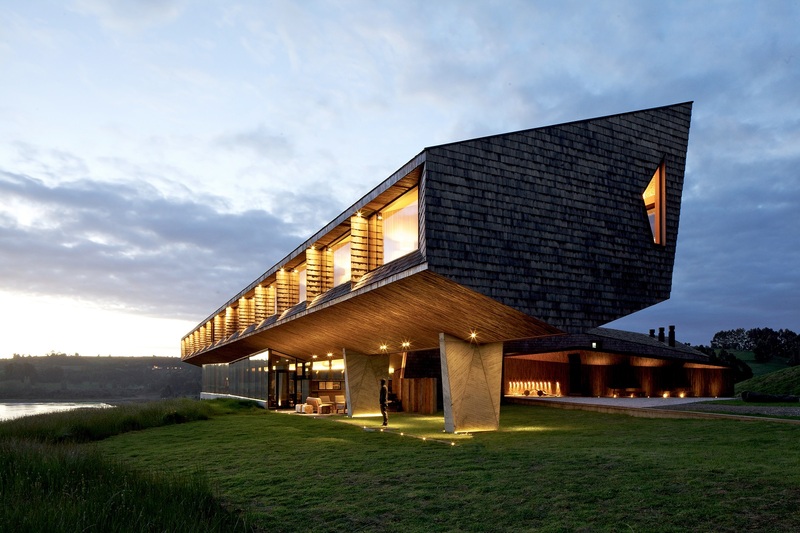 The Tierra Adventure and Spa Lodges are a collection of small boutique hotels in Chile, including Tierra Atacama, Tierra Patagonia, and Tierra Chiloé. Tierra has always been dedicated to sustainability, invoking the spirit of the breathtaking natural environments it operates in. It’s probably this reason that Tierra is committed to low impact activities, focusing on energy conservation and encouraging local communities to stay within the area in order to limit unnecessary urban migration and preserve the region’s culture. Awasi operates three luxury properties, including Awasi Atacama in San Pedro de Atacama, Awasi Patagonia in Torres del Paine of Chile, and Awasi Iguazú in Argentina. Awasi’s destinations are in some of the most stunning and often raw locations in South America. With a dedication to sustainability, you will realize how much your experience is about harmony and appreciation of the land. Awasi Iguazu focuses on going beyond the Iguazu Falls and offer excursions by indigenous Guarani people who intimately know the jungle trails and can share their knowledge of thousands of endemic plants and animals, many of which are unique to the region. 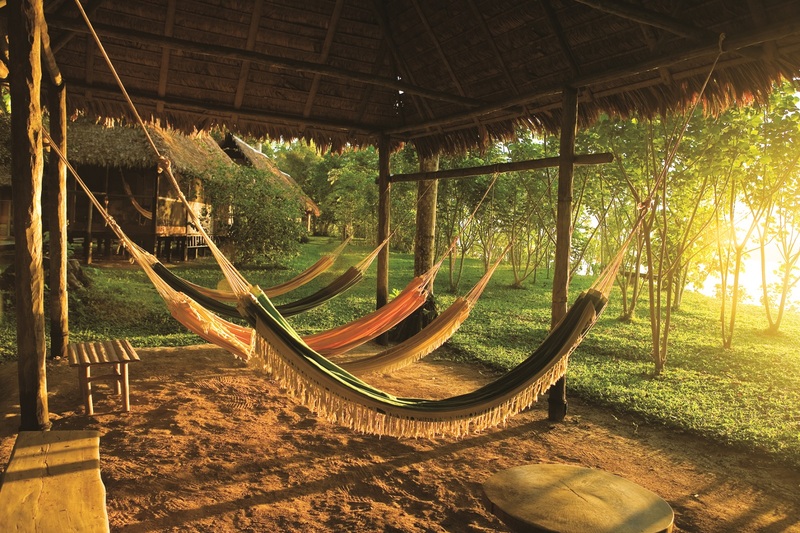 Napo Wildlife Center is a community-partnered lodge. This is one of the world’s leading eco lodges and has been nominated many times for the World Travel Awards™ and celebrated by the UNWTO during its commemoration of The International Year of Sustainable Tourism for Development. The entire lodge is exemplary in showing how resources can be used consciously, utilizing renewable energy technology instead of contributing to deforestation and oil extraction. All the meals are sourced locally from organic farming. The Kichwa Añangu community are preserving their ancestral history with its cultural center, in which visitors are invited to share in the strong musical tradition. Multi-award winning luxury eco lodges in Peru, Inkaterra offers Hacienda Concepción by Inkaterra in Puerto Maldonado, Inkaterra Machu Picchu and Inkaterra Reserva Amazonica. Finding peace with the planet in Peru is so easy when you stay at Inkaterra! As you enjoy your vacation, Inkaterra is committed to scientific research and biodiversity conservation and you may just find that you have a positive yet subtle education on authentic cultural, social and environmental values.